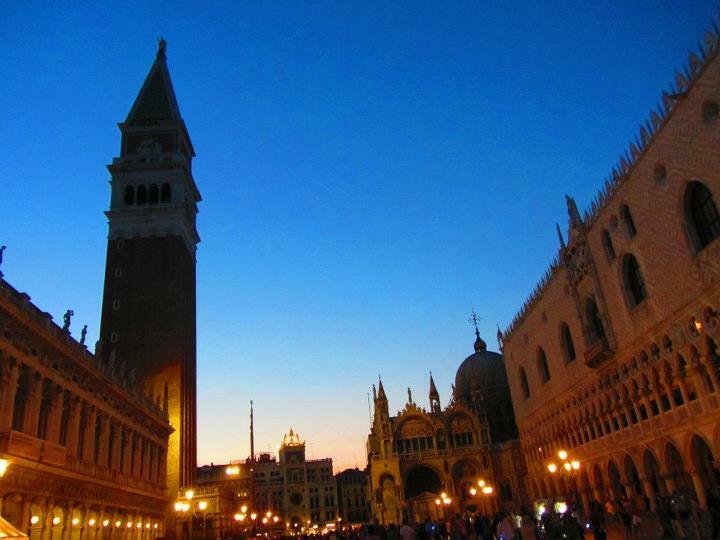 Venezia is a magical city, much more romantic than Paris, with more canals than Amsterdam. Totally recommended for those who are in need of some romance. I felt so lucky when I saw a beautiful sunset with Tina, coincidentally when we walked upon one of its uncountable bridges. As mentioned by Jessica, the city is at its best after the cruiseship-day-trippers are gone. After Tina, Claire and I checked in at the half university dorm-half hostel Ostello Santa Fosca (Gina stayed at her friend’s in Padova), we strolled the alleys of the Venezia and visited Piazza San Marco. Many tourists were still there but it was much more bearable compared with hundreds (or perhaps thousands) of people in the day time. The plaza became even more beautiful when we heard wonderful live classical music from one of the high-end alfresco cafe. We the destitutes did not have to pay for anything as long as we did not sit on the chairs of the cafe (later I found that they would charge the guests 6 euro for the music). Aside from Basilica San Marco, the Byzantine church which had amazing golden coloured mosaics in the inside, we did not visit or do much as we had neither the time nor the budget. 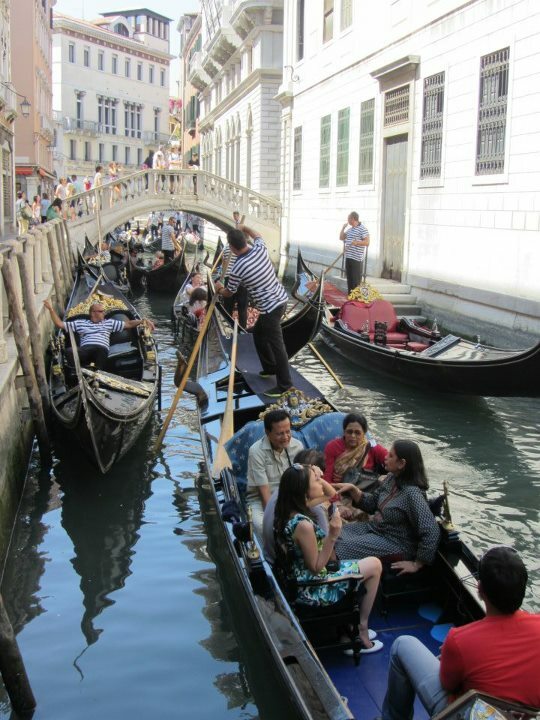 We did not ride the gondola as it’s another rip-off for tourists, although we pleasantly had took picture of gondolas which were having some kind of traffic jam. 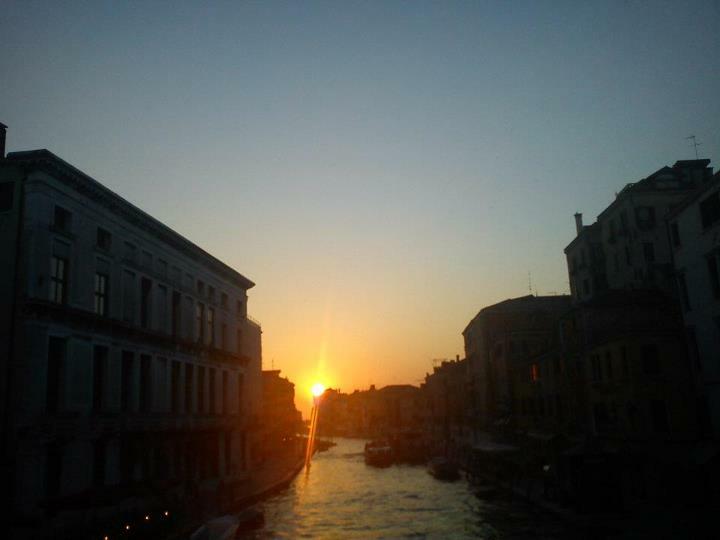 Venezia is an expensive city, there seems to be no low season so prices are constantly at the expensive side. We had to pay 23 euro/night/person in the hostel, and the rest of the budget was spent for humble meals. 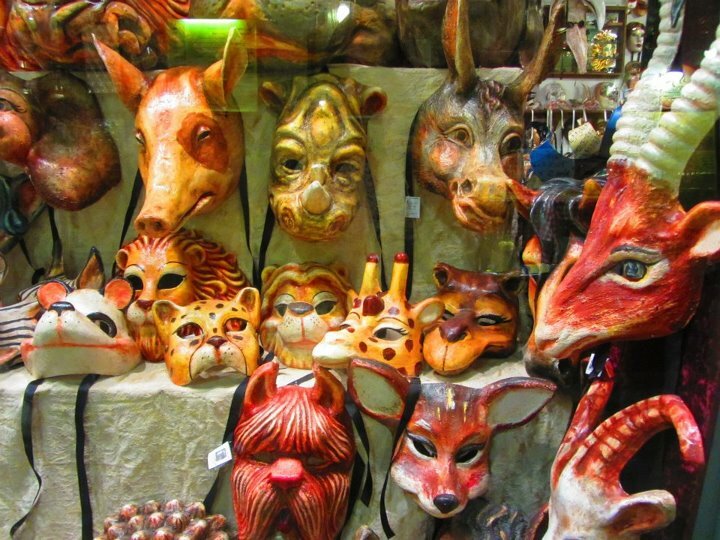 Anyway, besides the canals, one of the most interesting things in Venice are the various masks in a myriad of colours and shapes in the shops. How I wish I were there in the carnival, it must be more fun although perhaps the rooms are fully booked and price will soar even more!